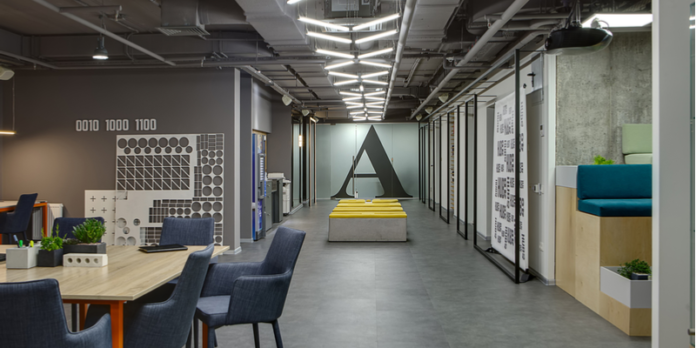 With the co-working space expanding at lightning speed, and competition rising in tow, co-working spaces will aim to enhance their footprint by reaching out to newer communities, giving smaller players a chance to grow in tandem with industry doyens. Recently, China’s flourishing co-working landscape went through a momentous transition that further catapulted it into the big league markets. The world’s largest co-working space brand, which also happens to be the most valuable startup across the globe, inked a deal with its Chinese rival, a three-year-old co-working space provider. Through this move, the co-working giant that is valued at $20 billion, aimed to create a co-working community of one million people in China by 2021. Furthering the mergers and acquisitions trend in the co-working space was another Chinese giant that propelled its valuation to an astonishing $1.7 billion through multiple mergers. India’s co-working space, also expanding at a rapid pace, might follow a similar growth trajectory in the coming years. The co-working space in India is booming thanks to the country’s modern workforce that is challenging the archaic, impersonal office setup. Rising above cramped cubicles, rigid protocols and clutter, today’s professionals are embracing flexibility and fluidity in the workplace. Co-working spaces offer an environment replete with fun, flexibility and a sense of belonging that makes employees feel comfortable. Such is the demand for co-working spaces in India that even with the sector clocking in 11 million sqft in the first quarter of 2018, there exists a gap between the demand and supply of spaces. We’re looking at a countrywide expansion of co-working spaces, a major part of which will march on the shoulders of mergers and acquisitions. What led to the M&A wave? The rise of consolidations in the co-working sector can be attributed to an upsurge of players in the market that find it challenging to compete with established names. Small-medium co-working space providers understand the need for mergers with leading players to enhance their services and address the disproportionate availability of inventory as compared to the increasing demand. A similar bout of mergers and acquisitions was also witnessed when the competition spiked in the food tech sector among Swiggy and Zomato or when Ola and Uber together took the cab service industry by storm. When small businesses realise that dominant players will rule, they prefer to merge with them. Further, co-working spaces are striving to enhance their offerings by carrying out acquisitions outside of the real estate market. For instance, a global co-working space is on a spree of acquiring players in the software and analytics ecosphere, SEO platforms and coding boot camps, among others. The co-working space is exhibiting this acquisition race in order to create a space that not only offers desks and infrastructure but also the right tools to succeed such as education, software and community services to its incumbents. Co-working spaces are evidently consolidating with niche service providers to enhance their brand offerings and carve an unparalleled niche for themselves. The co-working sector, at a global level, is projected to expand to over 30,432 locations by 2022, attracting a whopping 5.1 million members according to the Global Coworking Unconference Conference. India and China are estimated to be the leaders in the domain, with global investors such as Qatar Investment Authority and Goldman Sachs already showing interest in the sector. In tune with these projections, Indian co-working spaces are upping their game, registering unprecedented growth and walking shoulder to shoulder with the biggest players in the world. As leasing costs are projected to skyrocket due to low inventory availability, co-working spaces are planning to enhance their operational models. The largest co-working brands in the world are already spending between $10 billion and $18 billion each year on rent, a pretty humongous cost burden to shoulder in the lack of asset purchase. Smart players are recognising the need for an operational transformation and going for a cross between owned and leased properties. Through such a setup, these players are evincing flexibility of operations and strengthening their business and the economy as a whole. A Cushman and Wakefield report mentioned that the leading metro cities in India, except for Kolkata, have witnessed a 38 percent average decrease in the supply of commercial office spaces. While the supply of commercial office spaces declines in areas cities, larger co-working spaces grab this opportunity to acquire smaller service providers in Tier II cities rapidly. With the co-working space expanding at lightning speed and competition rising in tow, co-working spaces will aim to enhance their footprint by reaching out to newer communities, giving smaller players a chance to grow in tandem with industry doyens. Such a synergistic framework will allow smaller players to contribute to the co-working revolution substantially. It will also nurture a collaborative work environment that makes work fluid and cooperative, and contributes to the development of a thriving business community that has the vision of large enterprises and the insights into local markets that only local players possess.